India and Pakistan have this 30 years old Siachen Dispute, Which causes the lives of thousands of soldiers on both sides, tragically more casualties are due to extreme weather hostilities. Siachen Glacier is about 78 km long. about 22 Glaciers exist in this area. Siachen Glacier is a disputed territory between India and Pakistan. In the Shimla Agreement of 1972, the Siachen area was termed as inhabitable. But did not determine the boundary between India and Pakistan. Till 1980's no dispute existed but due to increased MountainExpeditions by Pak, India Started to collect reasons for this action under Colonel Narinder Kumar. India got Intel about Pakistan planning to capture the Siachen Glacier in 1984, India deployed its troops on “Bilafond La Pass”. The Pakistan army failed to scale the glacier in 1984 due to poor weather conditions and inadequate preparations. On June 25, 1987, Pakistan created their first “Quaid Post” at an altitude of 21000 ft. In 2003, An armistice treaty was signed between India and Pakistan. leading to Ceasefire but the army of both nations are stationed here. 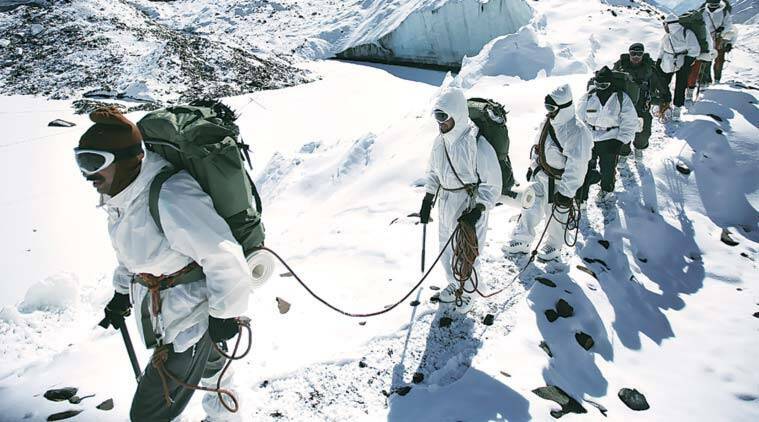 Around 10000 indian soldiers are deployed in the Siachen Glacier whose total cost leads to ₹5 crore per day. More than 2500 soldiers die from weather hostilities from both the sides in this region. as LoC runs from point NJ 9842 along the Saltoro ridge putting the entire Siachen glacier within Indian Territory. Siachen is located between POK and China. making it very strategically important to keep a hold on it. India currently occupies all the major post's on the glacier at high altitudes, taking forces down has a risk of Pakistan trying to take over the glacier.